The phrase “not one jot or iota” comes from the Sermon on the Mount, Matthew 5:18, and originates from the Greek letter “iota” being the smallest in the Greek alphabet. Iota transliterates into the English “i”. So the phrase means “not even as much as the smallest dot or the merest dash”. 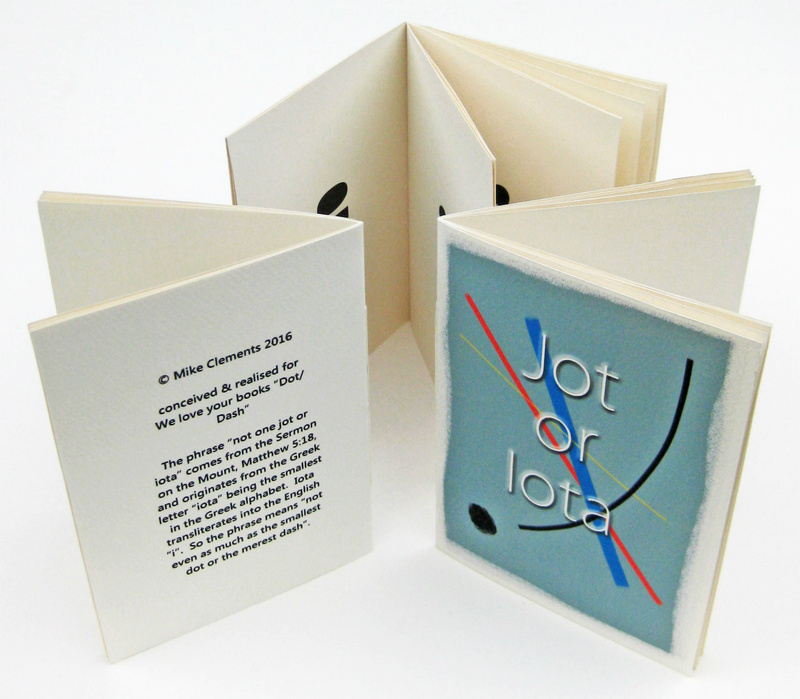 Conveived & realised for We Love Your Books 2016 exhibition "Dot Dash".